At present, nearly 53% of businesses use big data analytics, which is a 17% increase since 2015. The telecom and financial services are the two industries to have adopted big data with the technology and healthcare industries being the third and fourth respectively. By 2020, it is estimated that the volume of big data will rise from 4.4 zettabytes to approximately 44 trillion gigabytes! This volume will shatter all the former data trends and set a completely new business world. Analyzing the potential of a business has become simpler and more efficient with the help of big data. With actionable insights generated from the data analytics, projects can be administered with a more strategic inclination. Obvious market trends can be recognized by utilizing big data and decisions can be executed accordingly. Efficient management and operational policies depend on how well a company plans and executes strategies. The reports generated by data analytics help optimize resources by revealing factors which can be enhanced. It enables a company to have more flexibility and make informed decisions by considering the consequences and risks of a business situation. Big data analytics can recognize domains that require developments and helps a business drive down its expenses. It also identifies several business opportunities that may have been neglected and unexplored such as demographic indicators and untapped consumer segments. It also assists while hiring by analyzing a potential candidate’s profile to check whether they fit the specifications. By doing so, the profitability and growth factor increases. Big data analytics also brings down the cost for companies by determining less profitable units and designing an efficient utilization of the current resources. Furthermore, with the arrival of self-service big data analytics that empowers businesses to manage information, it has further helped bring the expenses down. For instance, when a customer enters a bank, the cashier or the clerk can utilize big data analytics to monitor their profile in real time. This way, the clerk can determine the consumer’s preferences, and advise appropriate services and products to the customer. From $122 billion in 2015 to an estimated $210 billion in 2020 in revenue, big data analytics is set to touch new heights. It equips a business with valuable insights by analyzing the market and understanding the customers. However, the generated data is not only relevant for the business but also the other parties involved. Businesses can market the non-personalised data to bigger firms and companies operating in the same industry. 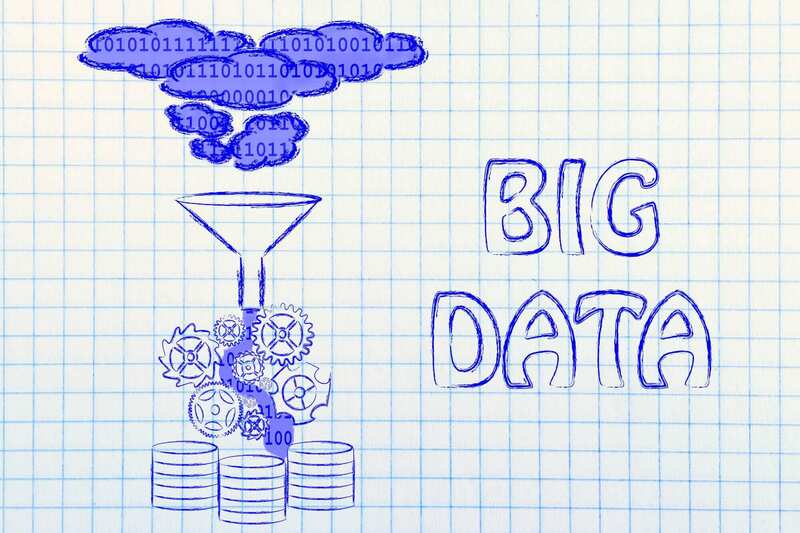 To obtain more benefits of big data, companies can also educate their employees about big data management, which will help them become more efficient and productive. With big data analytics, businesses can chalk out a data framework to analyze any kind of possible internal or external threats, even before they occur. The information serves as a tool for businesses to keep any sensitive data secure by exercising the appropriate methods. This is a major reason why numerous industries are focussed on implementing big data analytics to their processes. However, if a business deals with credit and debit card or financial information, then they should pay extra attention. For big data to be a successful component of a business’s growth, certain factors such as social and economic standards of the business must be taken into account. Big data helps with predictive analytics, which helps constantly scan and analyze newspaper reports, social media feeds, or other things that are relevant to the business. This way, a business will be able to keep up with the latest industry developments and trends. With the arrival of big data in businesses, it’s safe to modify the saying ‘survival of the fittest’ to ‘survival of the smartest’! The fast-paced business environment has lifted the global economy. Plus with ultra-modern technological advancement such as big data, every business, be it a small company or big corporation, is compelled to use it and grow their business further! Guest contribution by Abhinav Rai: Data Analyst at UpGrad, an online education platform providing industry oriented programs in collaboration with world-class institutes, some of which are MICA, IIIT Bangalore, BITS and various industry leaders which include MakeMyTrip, Ola, Flipkart etc. Next Next post: How Your Company Can Benefit From Strategic Meetings Management?